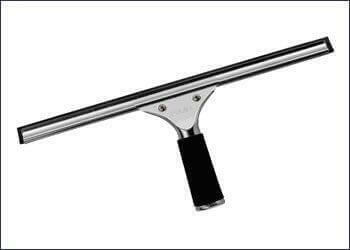 Stainless Steel Squeegees For rapidly removing water from windows for a smear free finish. Ribbed rubber handgrip, will not slip when wet. Can be fitted to telescopic extension. Spring-loaded blade retention allows handle to be positioned anywhere along its length.